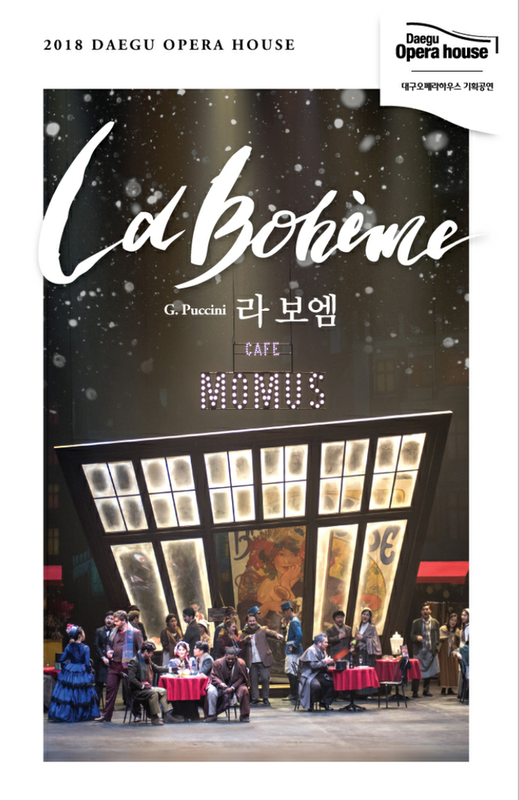 From December 22nd of this year, a performance of the opera ‘La Boheme’ will decorate this year’s final stages. With its background as Christmas, it is one of the main repertories of opera houses all over the world during the year’s end. Closely illustrating the story of young and poor artists, with Puccini’s characteristic romantic and lyrical rhythm, it has been loved by many people over the years. This production is conducted by Jonathan Brandani who won the grand prize at Daegu International Opera Festival. The soprano Hwang Sumi, the winner of the Queen Elizabeth Competition for singing, and the heroine of the 2018 Pyeongchang Winter Olympics’ opening, and Soprano Ma Hye-sun, who won 1st place at the Giuseppe Di Stefano competition and starred as a main role in 2016 Daegu International Opera Festival, will play the role of “Mimi”. Also, George Oniani, a vocalist belongs to Germany’s main theater, will appear as “Rodolfo”. It will be an all-star cast.